On sale! 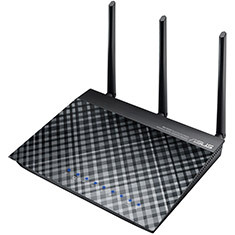 (normally $109) The DSL-N55U C1 is ASUS first simultaneous N600 dual-band Wi-Fi ADSL router, providing a stylish design, sophisticated features and easy setup alongside supreme wireless and wired networking for the home. 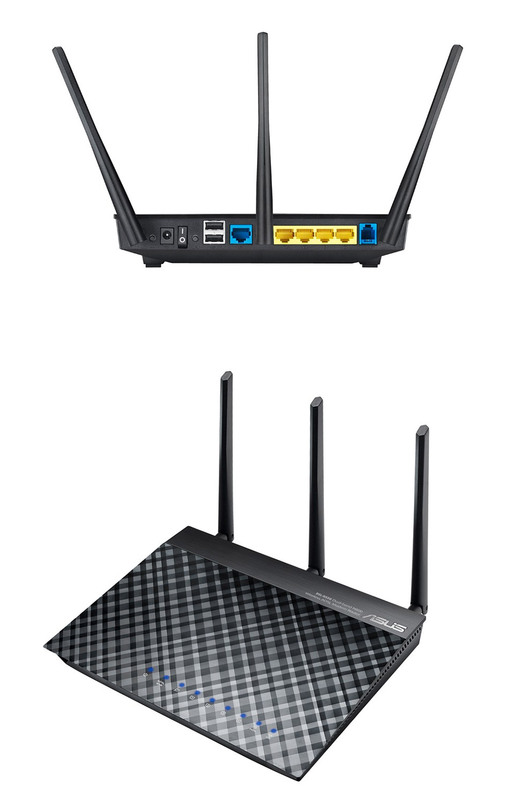 Two USB 2.0 ports allow the DSL-N55U to share printing and scanning functions on a network, as well as operate as high-speed NAS (Network Attached Storage) when an external storage device is connected. It is fully DLNA certified and can act as a media server and home entertainment center. Any device, such as a console, smartphone, or tablet can directly stream music and video wirelessly through the DSL-N55U. Equipped with powerful hardware NAT acceleration and built-in Gigabit Ethernet, the DSL-N55U gives you full Gigabit internet performance, with a WAN-to-LAN throughput performance of over 900 Mbps. For wired networking, four Gigabit Ethernet ports provide excellent capacity. Support for up to 300,000 data sessions means the DSL-N55U has almost twenty times the networking capacity of other home routers. Data transmission stays fast even when the router is under heavy load, and easy-to-use QoS settings assure that important traffic - such as VoIP calls or online gaming - isn't adversely affected by large file downloads.